Climate researcher Doreen Stabinsky will be Uppsala University’s first holder of the Zennström Visiting Professorship in Climate Change Leadership. She is to take up the position on February 1st and contribute to the establishment of an environment that will be unique, both in Sweden and internationally. 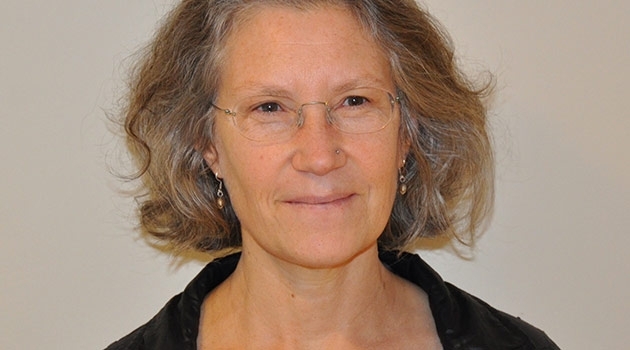 Doreen Stabinsky is Professor of Global Environmental Politics at the College of the Atlantic in Bar Harbor, Maine. Her research, teaching, and writing concern the impacts of climate change, particularly on agriculture and global food security. She also serves as advisor to various governments and international environmental organisations, and has a large international network of collaborators. She stresses the central role that education must play in addressing the growing challenges of climate change. The ten-year visiting professorship, which involves a new professor being invited every year or two, is placed at Uppsala Centre for Sustainable Development (CSD) and will thus help to strengthen the focus on the area of climate change leadership there. Plans are already being made, in consultation with Doreen Stabinsky, for a range of activities in 2015, including seminars, conferences and international meetings. She will also take part as one of the University’s representatives at the next key international climate summit, the United Nations Climate Change Conference in Paris in December 2015. CSD, which is part of the Department of Earth Sciences at Uppsala University, is a transdisciplinary centre, acting as a catalyst for research, education and collaboration in the area of sustainability. There is great enthusiasm about Doreen Stabinsky’s arrival in February. She is known for her commitment to education and her ability to strengthen young people’s capacity to contribute to a better world. The fact that the focus of the climate change professorship has emerged from a student initiative and is now to be developed further, particularly in research, is also unique. The professorship is being funded with an earlier donation by the entrepreneur Niklas Zennström to Uppsala University. Zennström, who co-founded Skype, Kazaa, Joos and other companies, is currently running his own investment firm, Atomico, which invests in innovative technology companies. With his strong social commitment, through his organisation Zennström Philanthropies, he is contributing to various causes, including climate change research and other development in the area of climate change. ‘Clean technology will continue to attract more entrepreneurs and investors. However, the climate-related challenges we face around the globe require more: they require strong and visionary leadership. Zennström Philanthropies believes that Uppsala University can contribute to the development of such leadership in the climate change area, leadership that will complement innovation and business ventures in clean tech’, says Niklas Zennström. Niklas Zennström has two degrees from Uppsala University, a BSc in Business Administration and a dual MSc in Engineering Physics and Computer Science.